Ram Computers Has helped multiple Government agencies ,schools, both small and large business and Non-Profits. With all of their I.T and Computer repair and Networking needs throughout the Gallatin Valley and beyond. We know that having your Computers or network going down can be devastating for workflow and for the classroom. That is why we will not only get you back up and running as quickly as possible when your computers or network goes down. We will implement measure to make sure. That almost never happens. At Ram Computers When we consult Your business or agency we take a look from top to bottom at your technology needs. Not only will we give you the best and most practical advice. But also make sure that it is as seamless as possible. So your school,business or Non-profit can keep doing what you do best. Back in the old your business or agency would have to hire a full time expensive “computer Guy” to make sure everything at your company ran soomthly. Now you don’t At Ram Computers We offer a range of I.T Support form full contacts to Call as you need to support. This ensure that your business tech is running properly without breaking the bank or having to spend a lot of money on a full time I.T guy. Behind every business is a network. It what allows your employees to share files, Access a server. Even send a email. How much would it cost your company if your network went down? How much productivity would be lost to due to a inconnist connection? Could you even run your business if your Network went down? In this day and age probably not. That is why We offer top of the line network equipment and support. Making sure that your Network is one less thing to stress out about. Like anything else computers break. Imagine being a phone call away from your computer being up in running. No more of this waiting two to three weeks to send it into companies. Like Dell or HP. We can usually have your computer up and working one to two business. Sometimes even the same day!! Sometimes your computer isnt broken its running really slow. Taking away your purcous work time and eating into your productivity. 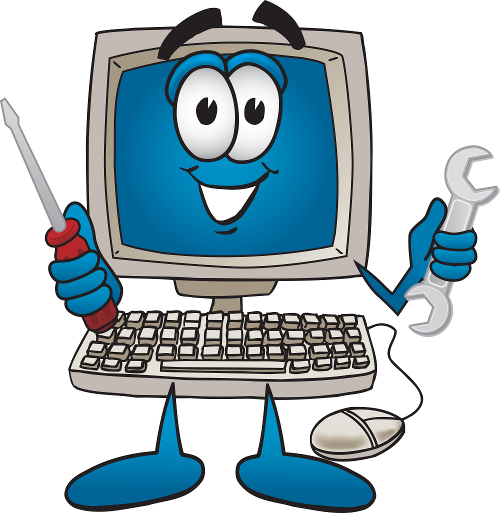 We also do full computer maintenance and monitoring so we can get your computer running like new and allow you to get back to your job. The truth is the internet is amazing place place for so many things. But it also can very dangerous place your employees and your business valuable and private information. That is why offer antivirus to stop viruses from getting on your pc to fulling monitored antivirus. That will notify us when there could be something malous on your computer.